Thank you for your interest for a FASD Support Group subsidy. 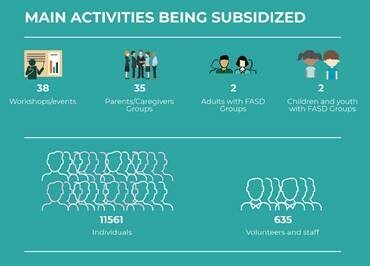 The purpose of these subsidies is to bring together families/caregivers and individuals experiencing FASD in a supportive environment. These subsidies are being used to create new, or build upon current support group activities. We are delighted to share with you the contact list for all subsidized FASD Family/Caregiver Support groups that have been selected for Cycle 1. Download it by clicking on the table icon below. We encourage you to connect with the leaders in your area to enhance existing work, and/or to create new and innovative options for your community. 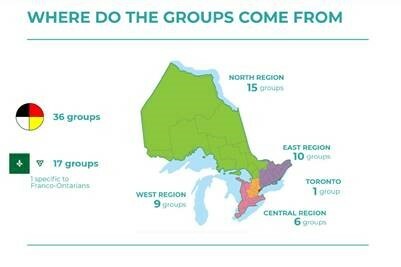 A Forum dedicated to First Cycle Subsidized FASD group leaders was organized on February 12th, 2019 at the Sheraton Toronto Airport Hotel & Conference Centre to celebrate the work done by funded Support Groups during Cycle 1. The winter weather didn’t cooperate with us which meant that many were not able to attend in person as planned. For those of us who were there in person, it allowed for the sharing of information, the celebration of many successes and the ability to brainstorm together and discuss any challenges that we are presented with. It is important to note that the presentations have all been recorded and will be posted shortly. All support group leaders are encouraged to view at a later date. We would like to take this opportunity to thank everyone who has been able to attend, and our presenters who have done an amazing job adjusting to the conditions! We are happy to share that applications for Cycle 2 are now being accepted. Applications are due by Wednesday April 17, 2019 at noon. The deadline to apply for cycle 2 is Wednesday April 17, 2019 at noon. Successful applicants will be notified on May 1, 2019. Funds must be spent by February 14, 2020. Activities must be completed by February 14, 2020. A webinar presented by Donna Debolt was organized to support you through the report and evaluation process. 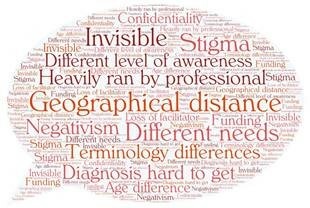 We also discussed specifically peer facilitation skills, unique needs of those experiencing FASD, risk management, complicated grief and loss, inclusivity of diverse family constellations etc. 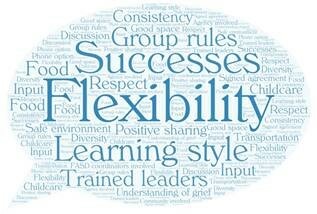 A webinar to further explain the goals of this project, the application process, reporting requirements and tips and strategies for Support Group Facilitation was scheduled on March 15, 2019 @ 1-3 pm. The video will soon be made available on this page. Applicants could apply for a subsidy up to $4,500. Applications were due by Wednesday, October 24, 2018 at noon. We are thrilled to announce, that we were able to subsidize 39 FASD Family/Caregiver Support Groups with this first round! The deadline to apply for the first cycle was Wednesday, October 24, 2018 at noon. Successful applicants were notified on November 7, 2018. Funds must be spent by March 31, 2019. Activities must be completed by March 31, 2019. Pour les demandes en français, veuillez envoyer un courriel à TSAFsupport@nexussante.ca.